Thanks to H.L. for sharing! Happy Feast of the Guardian Angels! 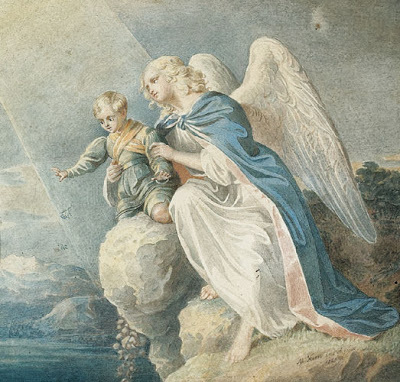 Let us never take our Guardian Angel for granted. 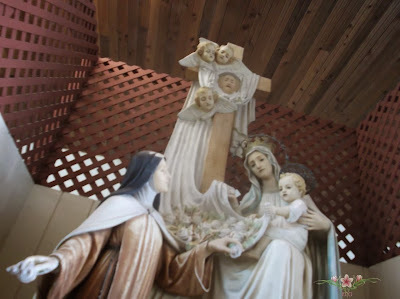 Happy Feast of St. Therese! The following quote was shared by Becca. Yesterday, I shared Father Patrick Peyton's vision for world peace was the family recitation of the Holy Rosary. Today, I share with you what he wrote in his autobiography about failing marriages. He shared the story of Father Woods who was the secretary of the diocesan marriage court in Albany. "He was constantly having to discuss the problems of couples whose marriages were in jeopardy, and he soon discovered that when he could get a husband and wife to say the Rosary together each evening with their children, a new atmosphere was quickly developed and the prospects for saving the marriage rose immediately." 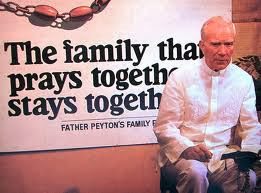 If you are interested in reading Father Peyton's autobiography, (and I highly recommend it! ), you can order it from the Holy Cross Family Ministries Also, please visit their wonderful site and learn more about Father Peyton. He was a visionary for our times. 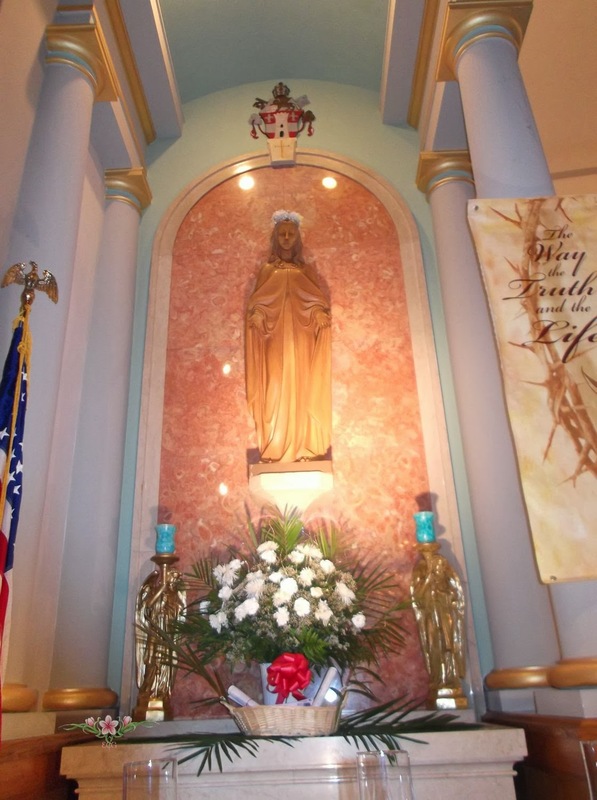 The month dedicated to the Holy Rosary starts tomorrow October 1st. Please consider joining me in praying the Holy Rosary with our families for the whole month of October. If this request is too difficult to accomplish every night, at least commit to praying one decade of the Rosary nightly and 5 decades each week during this month. There is so much love and help we receive from God's dear mother and ours, there is so much heartache, pain and suffering in this world that we need her constant intercession. If we pick up our rosaries, praying the Holy Rosary and meditating on the life of Christ, imagine the peace we can obtain not only in our own families and communities, but throughout the entire world. "Suddenly the thought struck me... that if all of us prayed fervently enough, we could put an end to the war. ...What was needed was not simply an end to the fighting but an atmosphere of true peace, peace in the heart, peace in the home peace in the family. Yes, I told myself, here was the key: family prayer, and in particular the prayer that had consistently brought God's favor through the centuries, that had saved Christendom at Lepanto, that had been preached and practiced and promoted incessantly by saints and popes, the Rosary. My mind ran forward with this idea. I would enlist in a great Crusade for the family Rosary not only these seventy men with whom I lived, but all the millions of servicemen, like the soldiers and sailors before the battle of Lepanto: and not only the servicemen, but their mothers and fathers and brothers and sisters, every family in the United States, every family in the world, all giving jut ten minutes a day to recite the same prayer as the men of Lepanto, a prayer drawn from the Scriptures, breathing the inspired word of God. ...That was the decision I made, to devote my entire life, my every effort, to the promotion of family prayer, and particularly of family prayer expressed in the form of the Rosary said every day or every night by the family gathered together in its own home...This was what I was going to do, and I knew that I was going to succeed because Our Blessed Mother would see to it. It was not my reputation that was at stake, but hers. We start our little Rosary Crusade tomorrow. Won't you please join in?